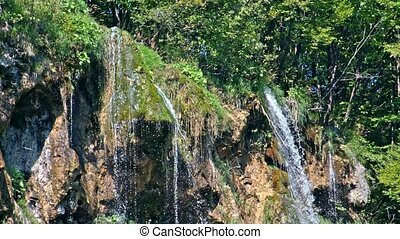 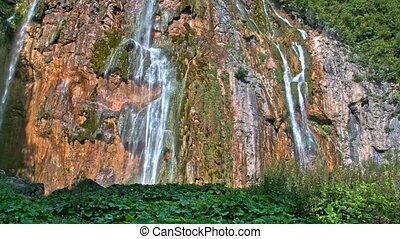 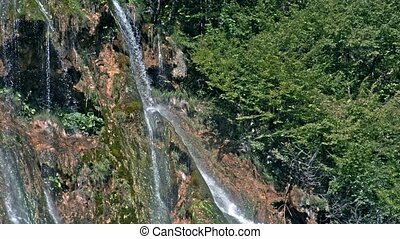 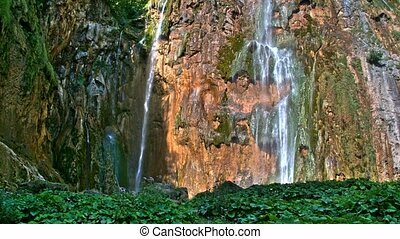 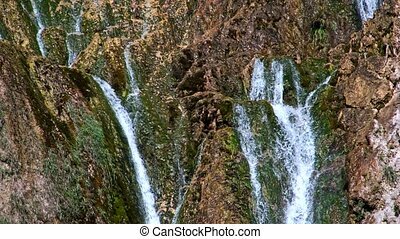 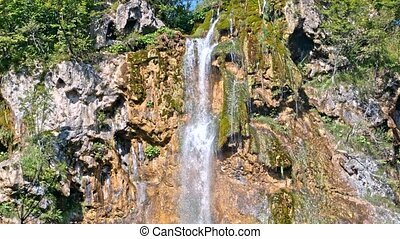 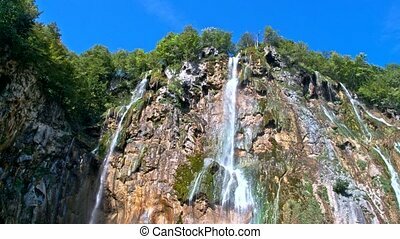 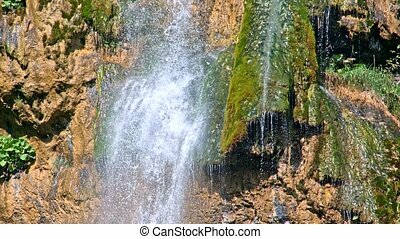 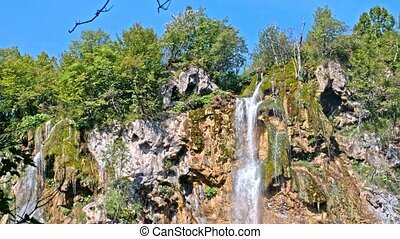 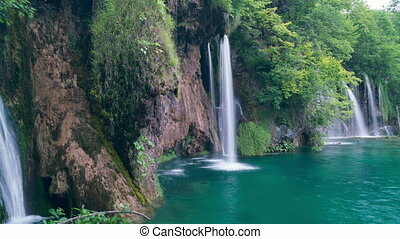 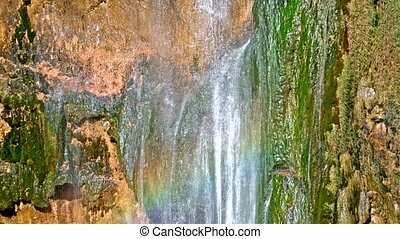 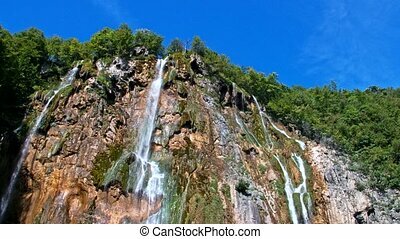 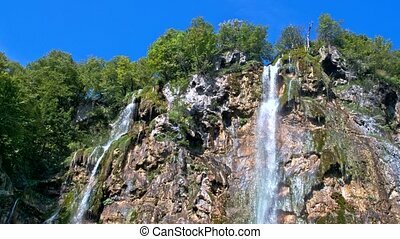 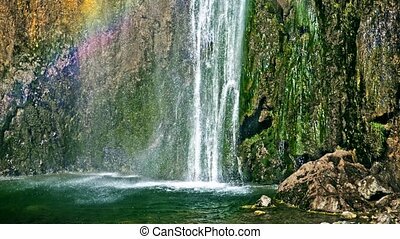 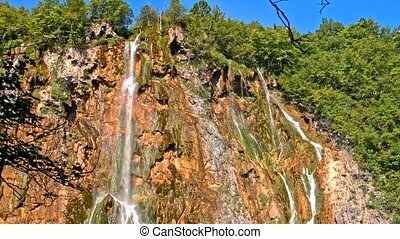 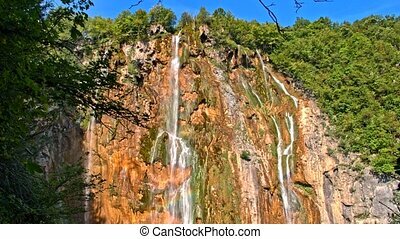 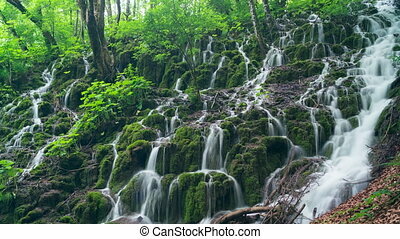 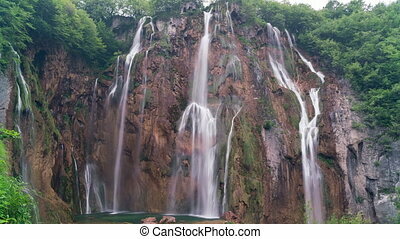 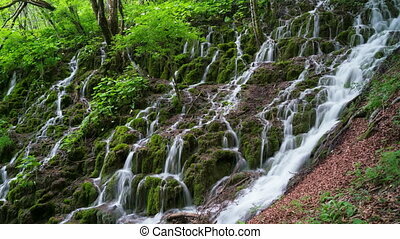 Detailed view of the beautiful waterfalls in plitvice national park, croatia. 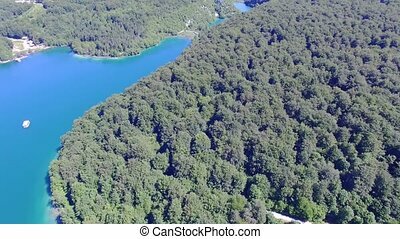 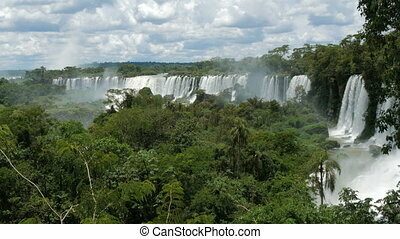 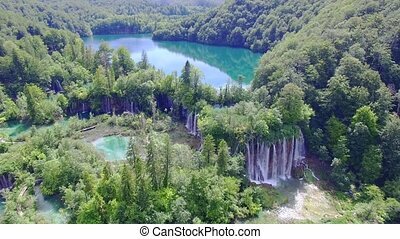 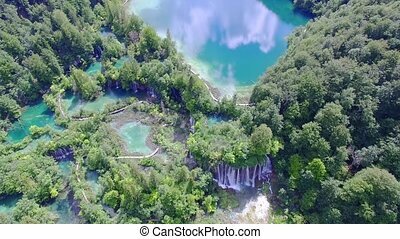 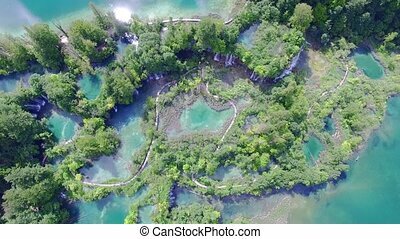 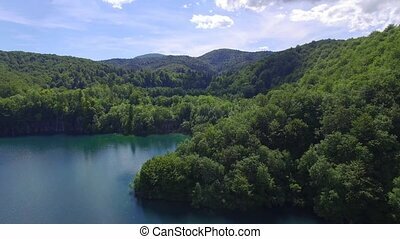 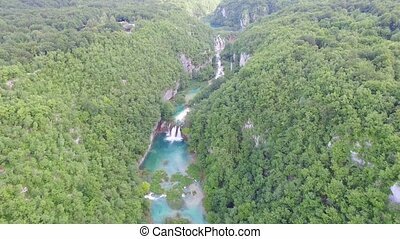 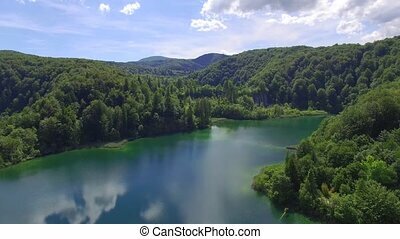 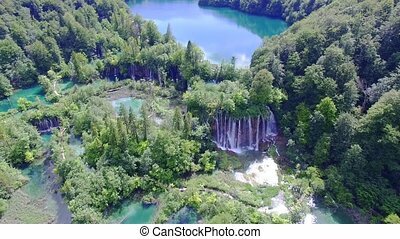 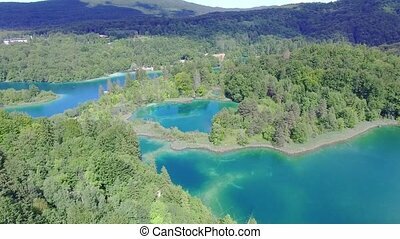 Aerial view of waterfalls and lakes in Plitvice National Park. 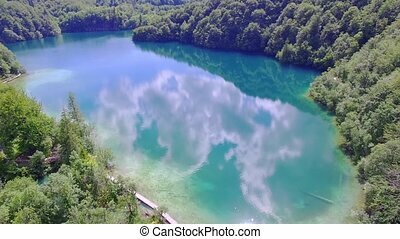 One vivid turquoise lake flows into another.